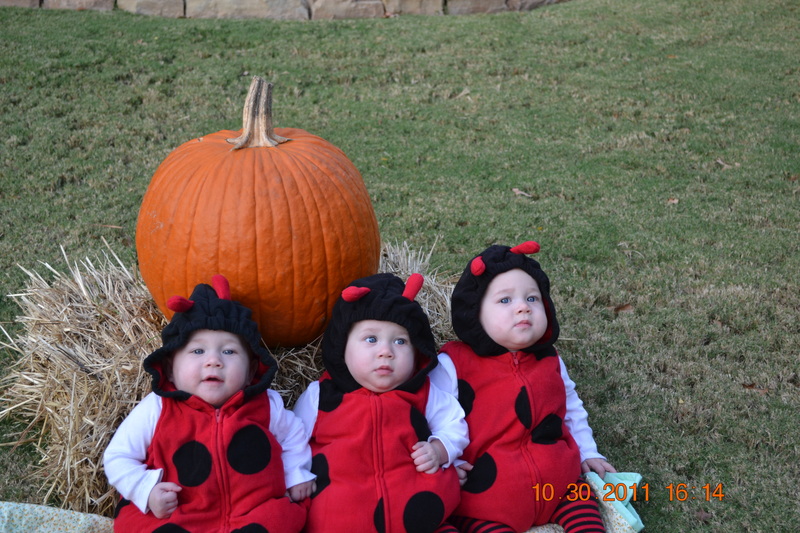 Happy 1st Halloween our wittle wadybugs! This was a special picture! 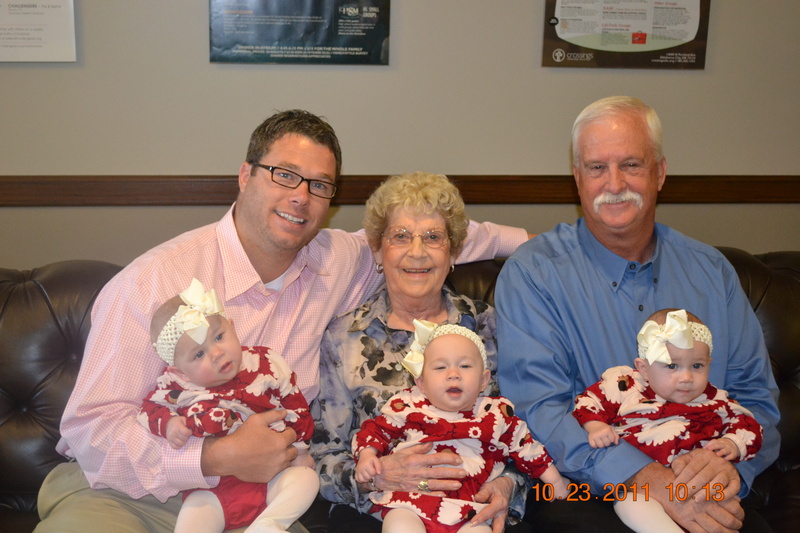 Bryan with his Nanny and Dad with the girls – her great-granddaughters! 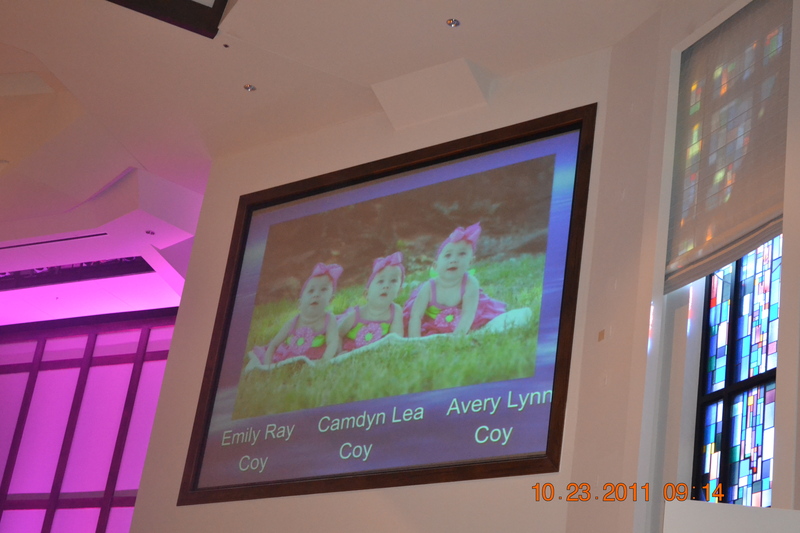 The girls on the big screen! A day celebrated with family all in the name of the good Lord. 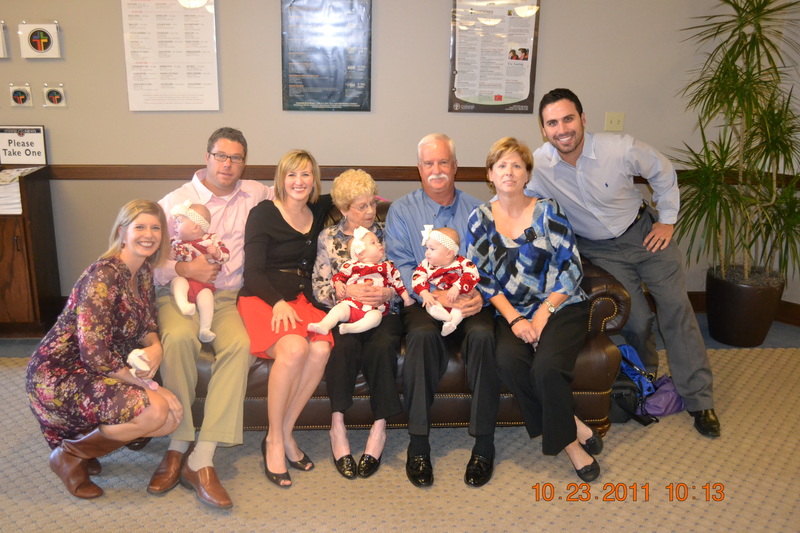 We are so thankful for our many blessings including our three miracles. We have an awesome gal that will be taking the girls pictures periodically to help me capture these special months and I could not be happier with how it is going! These pictures are from last week. 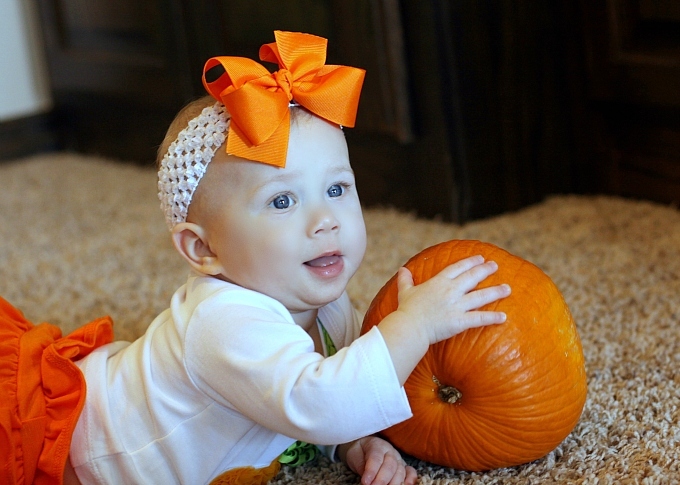 We created our own pumpkin patch feel and I think they are precious. If you need a family photographer check out Becky Opp with Greygill Photography. What a special gift. 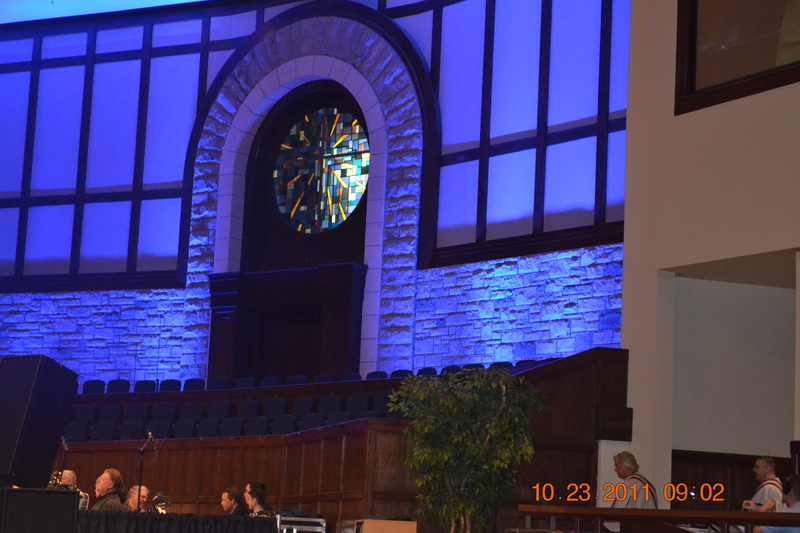 Most importantly, we celebrated dedicating our girls at church this past weekend. I was very emotional not only reflecting on where we have come in all these months but to see all of family that were present for their dedication. My parents, my brother, Bryan’s parents, his sister and husband, Bryan’s grandmother Nanny Cakes who is visiting from Ohio, and three sets of my aunts and uncles. The girls looked precious and it was such a special day. Surprisingly, they slept all the way through the church service. Well, Camdyn and Emily did. Avery sat on Nana’s (Bryan’s mom) lap and chewed on her purse handles. Already a purse lover. My kind of girl. Here is a recent update on our crazy, fast moving girls! Both Avery and Camdyn are not only crawling they are pulling up which means lots of spills and falls, bumps and bumping into each other. 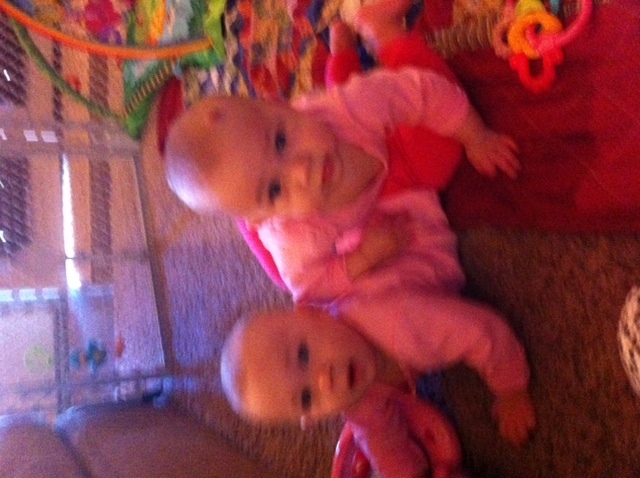 Fortunately, the cries last about ten seconds before they move onto the next toy on the floor. They are becoming more interested in each other which is awesome for Mommy! I recently downloaded an app on my Ipad that has animals and noises on it and they literally went nuts! They loved it. I saw a report recently that said that 10 percent of babies have been exposed to the Ipad. I guess include us in that bunch. Technology is great but I also think its important to expose them to the old school things like blocks and actual books. haha. 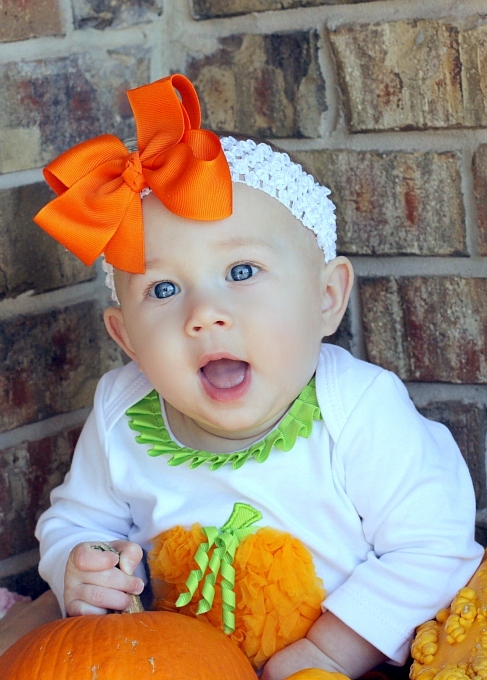 We battled our first ear infections, which was first misdiagnosed as teething. The girls were up all night long for about a week. Bryan and I felt like we did when they first came home. It was exhausting. Avery would wake up and just cry. It was heartbreaking. I knew something else was going on. That is why you trust your gut and find answers. Ironically, Emily and Avery both had infections in their left ear. 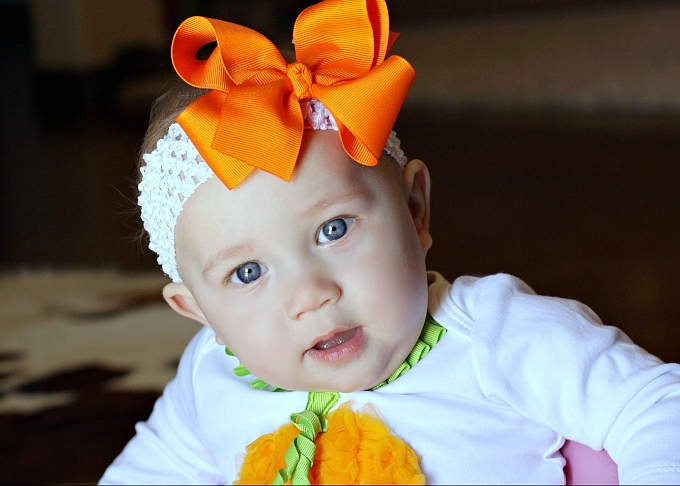 Camdyn was clean as a whistle, so she may have been up for the sympathy of her sisters. With some antibiotics and ear drops we are on the road to recovery and back sleeping. Mommy and Daddy thank you and glad you are feeling better. 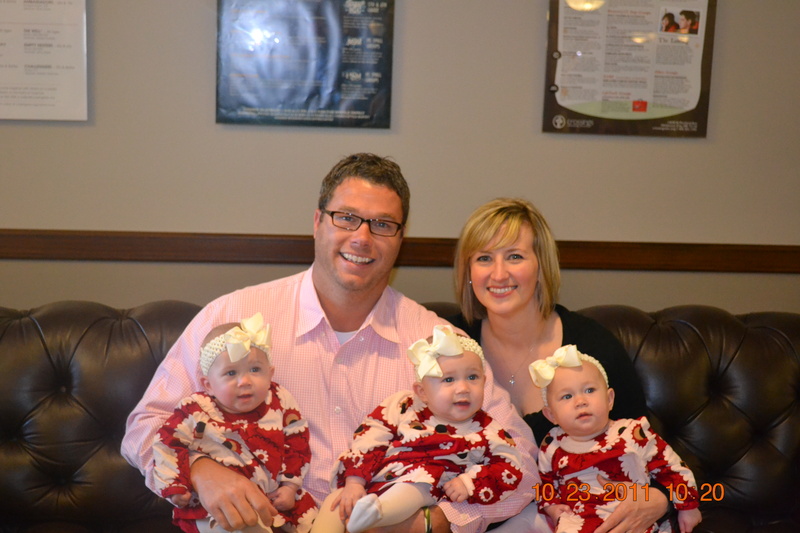 Update on Avery: We we took the girls in for their ears, Avery weighed in at 16 pounds, 7 ounces. Her little chubby cheeks and belly lead us to believe she weighed more but we are excited none the less that she is growing so well. She loves to climbs on everything including people and especially likes to pinned down her sisters. The other girls don’t like it but I can’t help but laugh when I watch her do it. She is defiantly a little spark plug. Loves her jumper and just laughes and laughes at herself. She loves attention that is for sure. 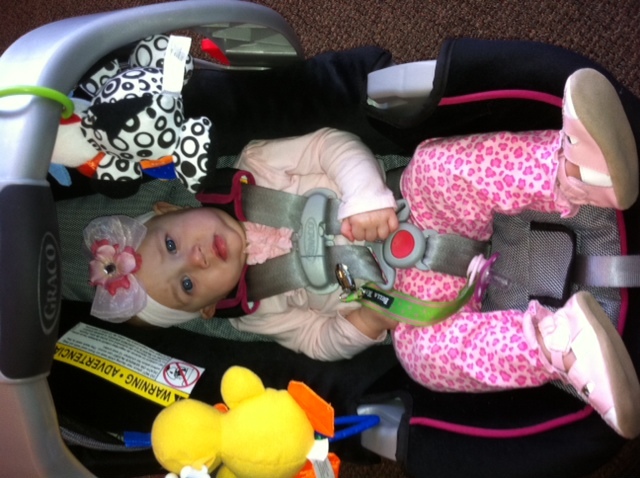 The pic of her in the carseat is on the way to the doctor. Not too thrilled huh. But, at least she rocked a cute hairbow. 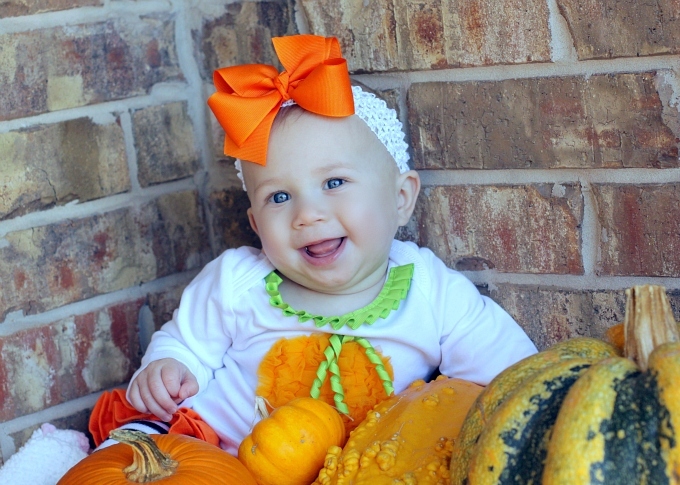 Update on Camdyn: Camdyn weighed just three ounces shy of Avery at 16 pounds, 4 ounces. I feel she is the whinest still but can make herself really happy in a flash. 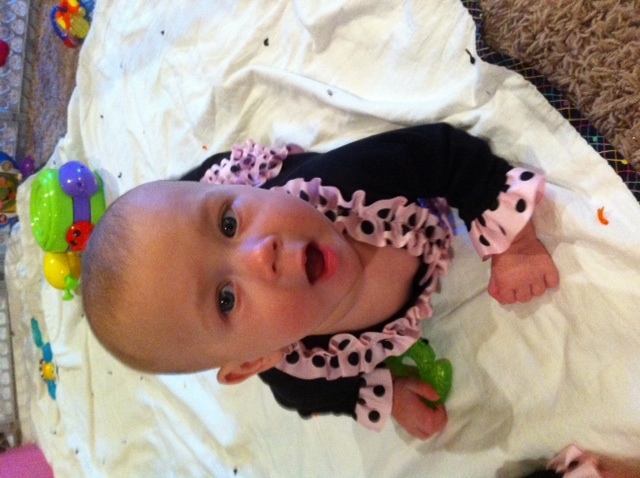 Daddy always loves to say, “Cam, Cam, CAM CAM!” in a high pitched voice and her mouth just drops open with a huge smile. She is sitting up well and just as mobile as Avery. She has been my most accident prone so far – against the couch, against the crib and against toys. I am sure she will find her groove soon. Another journey we are taking in the near future is that of home builders! 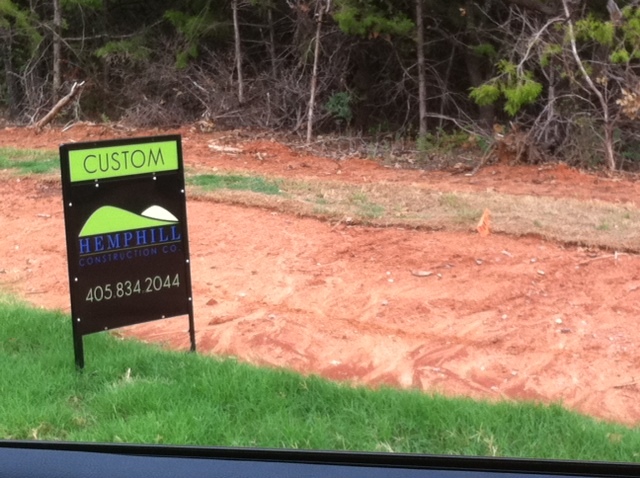 It is no question we will need more space, so we are taking the first steps to building our dream home in 2012-2013. We love our neighborhood, so we purchased a lot in the new development. Just down the street from our current house. We are so excited! We didn’t want to move too far from our parents. We are perfectly situated about five miles from both sets of parents. We also attended our first birthday party last weekend. 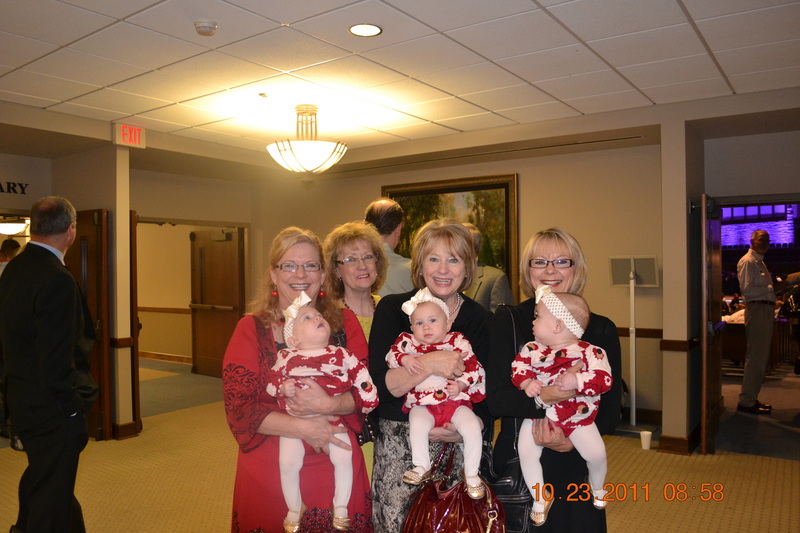 Our friends the Nevels twins – Sophie and Campbell turned 1. I can’t believe we will be doing the same in just four short months. Wow how time flies…. And lastly, I could not be more pleased with the Cowboys season. What I get to watch of it 🙂 Here are my Cowgirls. 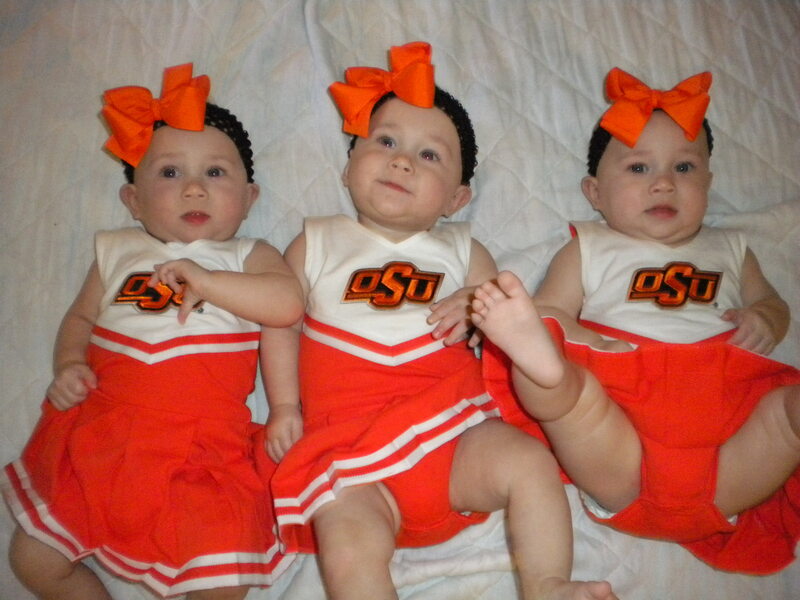 Cheerleaders in the making. Or, whatever sport they decide to play! They grow up so fast…already AND baby makes…four? 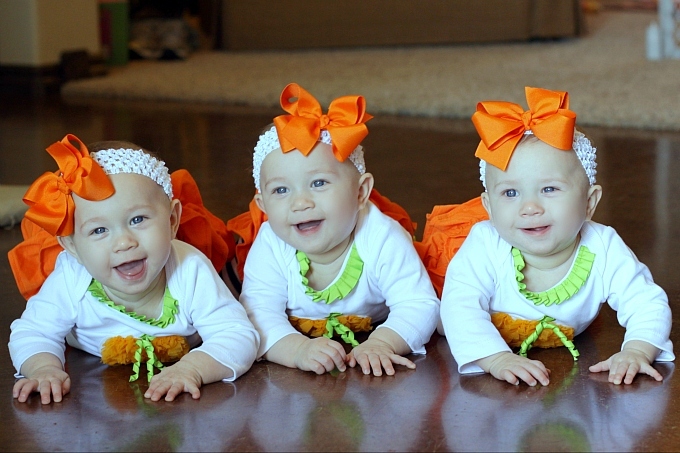 My dear precious daughters – I already want to tell you to slow down and don’t grow up too fast. You have your whole life ahead of you, enjoy your childhood, and all of those things that were told to us when we were younger. Overnight I have seen such changes. 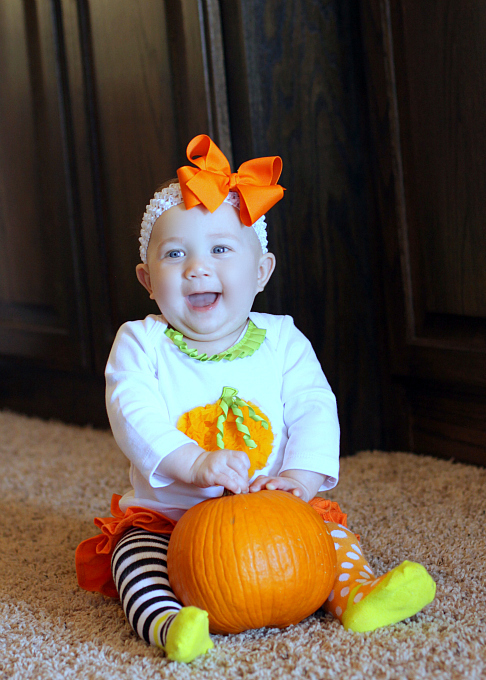 You are growing into your own personalities, eating big girl baby foods, sitting up on your own, crawling and you are laughing out loud at the sweetest things. I watch you all explore and that curiosity will only continue to grow. I see how carefully you approach new things, but with such wonderment and excitement. Your Daddy and I come in at night and check on you while you are sleeping. You are at such peace and look so precious that it literally takes our breath away how beautifully made you were by our ultimate Father. Each day gets more exciting as you grow and I know that time will continue to fly by, but we are loving every minute of it! Avery Update: Miss A is a crack up these days. She went from leaning on her side to sitting up to inching and then crawling in about two weeks time! We are watching her now trying to figure out how to climb up things like the couch, pillows on the floor etc. We have a baby gate that spans across our living room and I guess I left a portion of it open the other night. Bryan was making bottles and all of a sudden he looked down and there was Avery at Daddy’s feet in the kitchen. Pretty sneaky! She loves her jumper. She cracks herself up just bouncing away. She also loves to lean on you and just hang on and bounce on her knees. She is pretty animated right now and so much fun. She opens her mouth big for you to feed her and gets mad if you have not brought it fast enough. Camdyn Update: Oh our little Cam Cam. She is very vocal right now. She sqeals all the time! I think she likes to hear herself squeal. 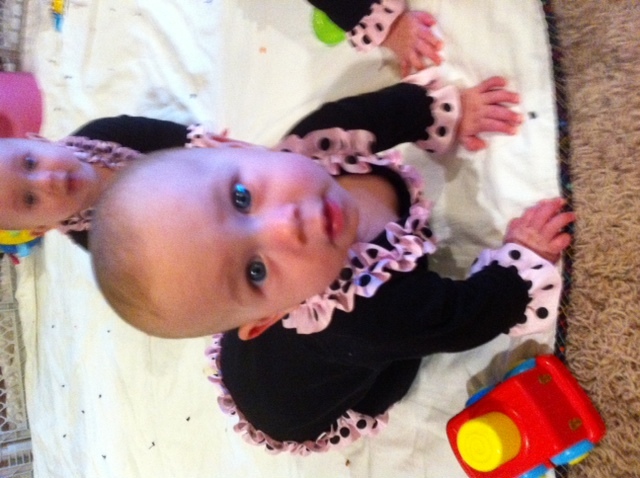 She has been watching sister Avery sit up and crawl and I think she is very jealous. She is working on sitting up. She leans to on side and she can crawl but not as fast as Avery. She is still our little cuddler and so very sweet. She is still the whiney-est in my opinion and it works every time 🙂 She looks at little confused after eating baby food. Don’t know why, but its sort of funny. Emily Update: Miss Em is such a hoot. As we have said before, there is just something about her that just cracks you up and melts you at the same time. She is such a little champ. She wants to do what everyone else is but we find her do so in her on ways. She is not sitting just yet and her crawl is more like a creep. But, she makes it from A to B in no time and most of the time is happy. She has this hilarious “roar” that she does right now. All of a sudden she just opens her mouth and yells. Pretty funny out of such a little body! She is doing great with baby food. Still kinda smacks her tongue to the roof of her mouth trying to figure it out. She loves to just stick her tongue out at you for no reason. People ask me if they “play” with each other. They are starting to more and more be interested in one another. Take a look at Cam and Avery here. Atleast they think its funny to climb on each other. And last but not least….Before I totally freak everyone out…I am not pregnant. My sister in law Amanda, Bryan’s sister, is pregnant with her first child. They just found out yesterday that its a girl! 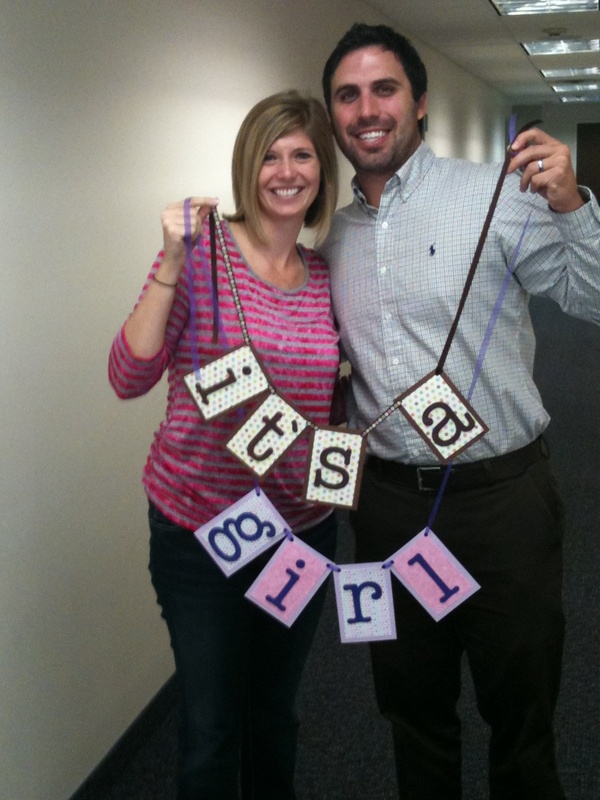 So much fun to have a girl cousin that will be due about a month after the Coy triplets turn one! Congrats Amanda and Michael. Can’t wait for tea parties, princesses parties and lots of pink! We had the girls pictures taken about two weeks ago by a lovely gal named Becky Opp. This was a gift from a family friend of the Coys and we were so excited to have them made. 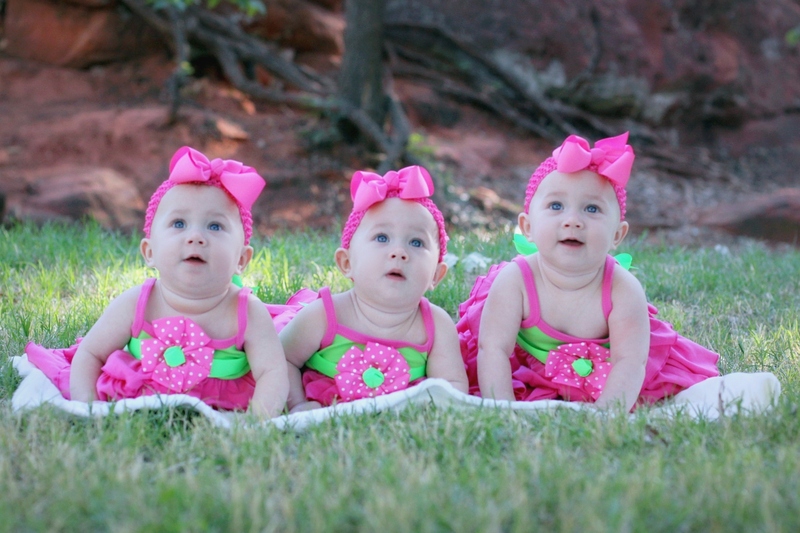 We had not had the girls pics done since they were 9 weeks old. Of course, we snap pics all the time on our phones of the girls but its always nice to have darling ones done…I hope you enjoy them as much as we do. They are precious! Can’t wait for her to do them again 🙂 Check Becky out at Greygill Photography! Quick Update: Miss Avery is officially crawling and sitting up! Camdyn is leaning on her side trying to do the same. Emmie is scooting along with her army crawl. They are literally ALL OVER THE PLACE! They will be 8 months olds on the 12th.